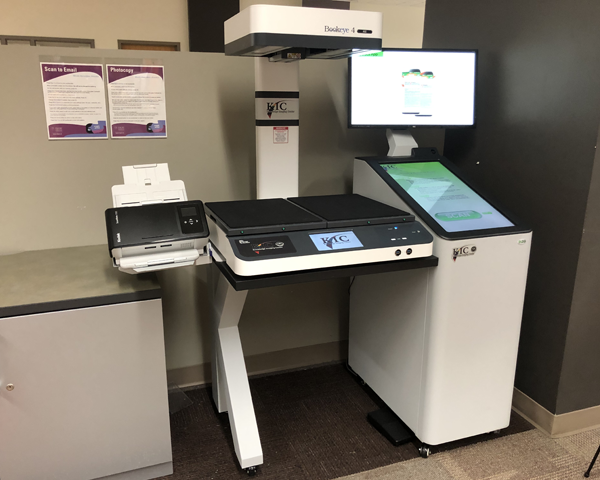 On April 8, the LITS Student Digital Life team, in partnership with the Library Service Desk, added a new service to the Woodruff Library in the form of a Knowledge Imaging Center (KIC) Bookeye book scanner. It sits across from the Library Service Desk, in place of one of the EaglePrint multi-function printers (MFP’s). The new book scanner expands upon the scanning capabilities of the EaglePrint MFP’s, in that it is designed and built for ease-of-use when scanning books. Users no longer have to pull the book off the scan bed, turn the page, place the book back on the scan bed, and then press the scan button; simply turn the page and press the ‘scan’ button. If both hands are needed to hold pages down, there’s a convenient foot pedal that also acts as a ‘scan’ button. The scan platforms can also be raised to create a nest for the book, relieving stress on the spine of the book. In addition to scanning, the KIC touch panel interface has built-in editing and mark-up tools that allow users to cut, copy, paste, annotate, and more…even adding emojis! 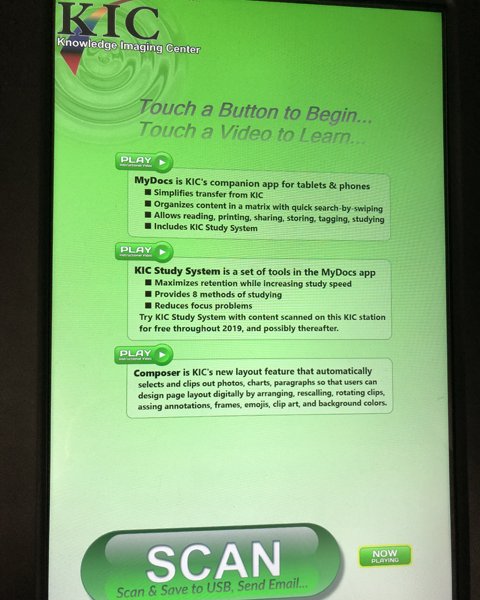 Scans can be saved to a USB flash drive, sent to any email address, or even uploaded to a KIC’s iOS and Android app called ‘MyDocs’ by scanning a QR code provided on the scanner’s display screen. The app has additional features that allow it to also act as a study-assist app, such as file organization, tagging, and audio playback of text from scanned files. There is also development planned for uploading files to Emory’s cloud storage options like Box.com and One-Drive directly from the scanner. Currently, this can be done from within the ‘MyDocs’ app. Without any public marketing or documentation on how to actually use the book scanner, in its first week of use, it accounted for 47% of the scanning sessions and 52% of the total pages scanned in the Woodruff Library (compared to the scan use of the EaglePrint MFP’s). The Library Service Desk staff have also reported that customer feedback has been quite positive and that they’ve spent almost zero time instructing patrons on how to use the scanner. 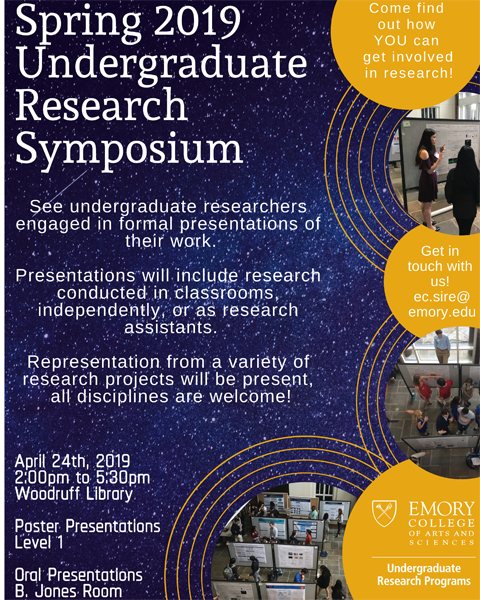 The Spring 2019 Undergraduate Research Symposium will be held in Woodruff Library next Wednesday, April 24, from 2 pm – 5:30 pm. A total of 105 poster presentations, scheduled in 3 sessions starting at 2:00 pm, 3:00 pm and 4:00 pm, will take place on Level 1, in the Learning Commons space across from the Student Tech Support desk. At the same time, 14 oral presentations, each allotted 15 minutes, will take place in the Jones Room. Open to all undergraduate students, Undergraduate Research Programs offers opportunities every spring semester for Emory students to present their research. 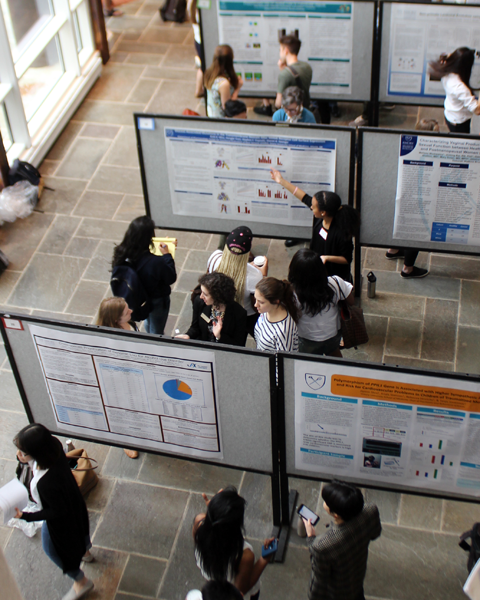 The presentations are part of Undergraduate Research Week at Emory, held from April 22-26. Light refreshments will be served. Please stop by to show your support for Emory’s student researchers. See the flyer below for details or visit http://college.emory.edu/undergraduate-research/present-your-work/symposia.html for information about the symposium. For more information about Undergraduate Research Week, visit http://college.emory.edu/undergraduate-research/present-your-work/ug-research-week.html. On Monday, April 29, Emory will have a new travel management partner to support all Emory University and Emory Healthcare travel efforts. Keep up-to-date with all travel resources: ETA Travel Page. 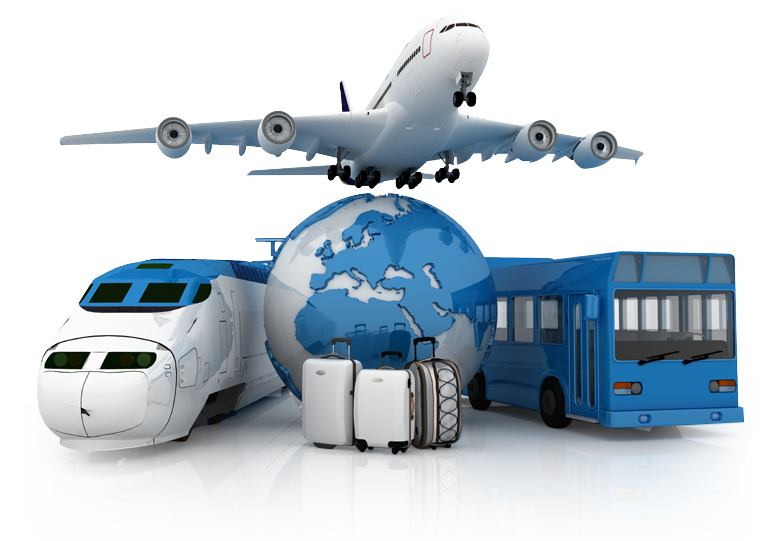 LITS is requiring all travel be purchased using an Emory Corporate Card. Apply for a Corporate Card at: https://finance.emory.edu/home/travel/payingfortravel.html. LITS is not allowing Direct Billing (use of ST) when purchasing travel through CTM. 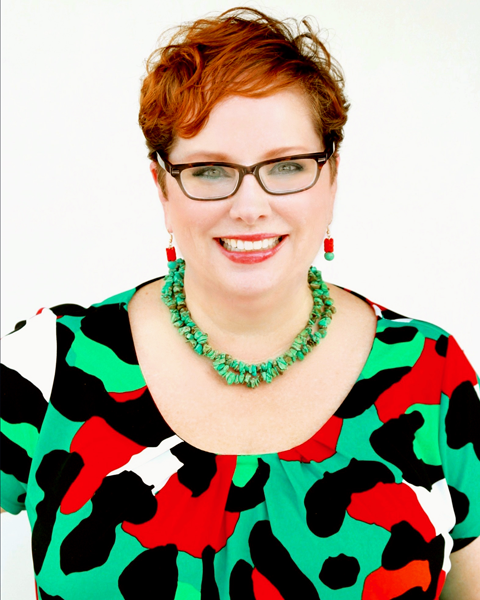 Karen Chason is the new operations manager for the Rose Library. Before coming to Emory, she worked for 2+ years as an executive assistant to the Global SVP and Associate General Counsel for Endeavor/IMG, a global sports and entertainment firm. She also spent 12 years as an admin assistant at the Goizueta Business School. Born in LA (“Lower Alabama”), she also lived in Dallas, TX, south Georgia, and middle Georgia, before moving to Atlanta 30 years ago. She studied history at the University of Alabama. You can reach her at karen [dot] chason [at] emory [dot] edu. Sallie Owens has joined the IT Data Solutions team as an informatics analyst. 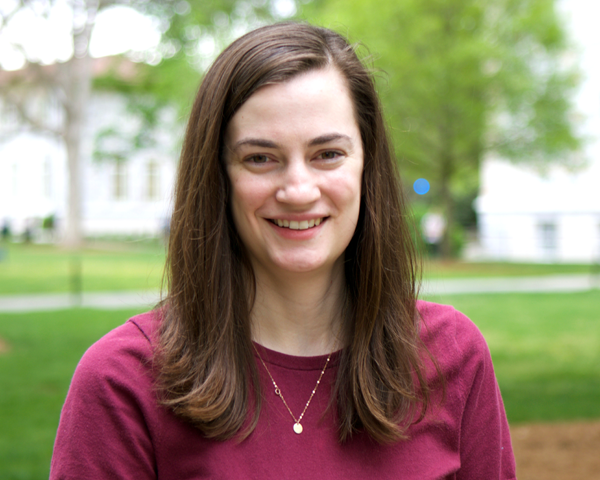 She spent the past four years as a data analyst split between Emory’s School of Medicine and Emory Healthcare Primary Care. She also worked for three years as a transportation analyst at WestRock and three years as a healthcare associate at Huron Consulting Group. Born and raised in Decatur, GA, Sallie earned a bachelor’s degree in industrial engineering from Georgia Tech. She is currently pursuing a master’s of public health degree in applied public health informatics from Emory University. Away from work she likes to read, hike, and watch the Atlanta and Georgia Tech sports teams. “I am very excited to be joining the Data Solutions Team,” says Sallie. You can reach her at sallie [dot] owens [at] emory [dot] edu. LITSers who took part in the event included (L to R): Caroline Corbitt, Kim Collins, and Jody Bailey. On Thursday night, March 21, during Women’s History Month, the Woodruff Library hosted its fourth annual Art+Feminism Wikipedia Edit-a-thon. This event is part of a global campaign to improve coverage of women and the arts on Wikipedia and to empower new editors. 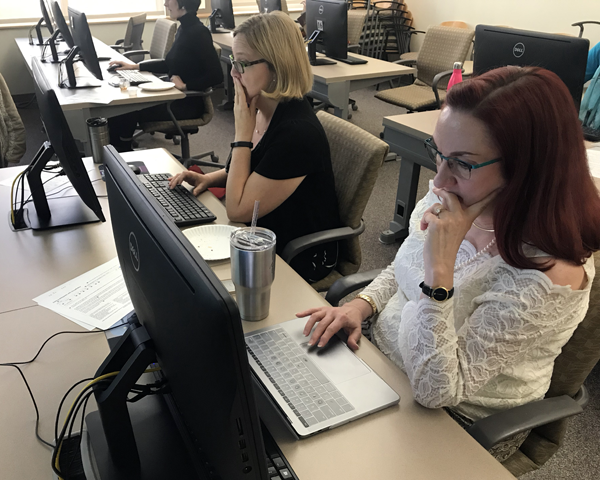 During Thursday’s edit-a-thon, the Woodruff Library’s “Wikipedian in Residence,” Caroline Scheving, provided basic Wikipedia editing training at the beginning of the event. Both Caroline and Jenn Sutcliffe, educational analyst with Teaching and Learning Technologies, continued to offer additional support to attendees throughout the evening. A total of 10 editors enjoyed pizza and popcorn while they participated in the successful event, creating 49 total edits. Over the course of the edit-a-thon, two entirely new Wikipedia articles were drafted. One, created by art historian librarian and RES team leader Kim Collins, focuses on the artist Robbin Ami Silverberg, whose work is featured in the Rose Library’s collection of artists’ books. The second new article, still in draft form, was started by Dr. Cheryl Crowley, Associate Professor of Japanese Language and Literature, and focuses on the Japanese poet Den Sutejo. Dr. Crowley worked specifically on translating Sutejo’s Japanese Wikipedia entry into English and plans to continue this project in her free time. The other eight editors who joined Emory’s edit-a-thon contributed edits to 24 different articles. These articles focused on a variety of topics, from biographies of early twentieth century women painters, such as Elizabeth Boott and Adelaide Cole Chase, to contemporary American writers and visual artists, such as Kelly Sue DeConnick, Mary Proctor, and Frances Bean Cobain. This year’s edit-a-thon proved to be one of Emory’s most successful Wikipedia-themed events. We would like to thank everyone who participated and look forward to hosting more events in the future. Until then, happy editing!